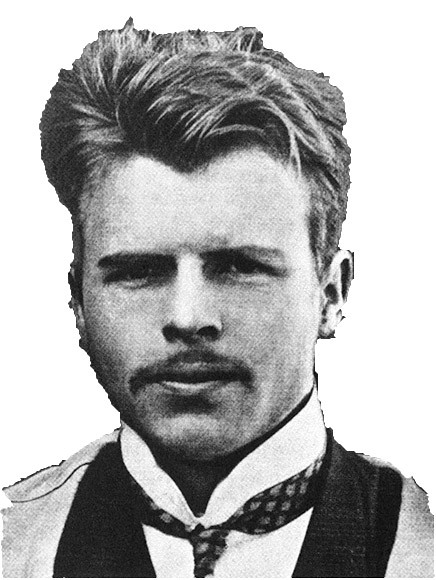 According to John Exner (1993), Hermann Rorschach first published the 10 inkblots in 1921 as a monograph, Psychodiagnostik. For the 1940's and 1950's, the Rorschach was the test of choice in clinical psychology. It fell into disfavor as many clinicians began criticizing it as "subjective" and "projective" in nature. Ironically, this was never the intention of Rorschach. While working in a psychiatric hospital with adolescents, he noticed that certain children gave characteristically different answers to a popular game known as blotto (Klecksographie). In his original publication he characterized the blots as a "Form Interpretation Test, and cautioned that his findings were preliminary and stressed the importance of much more experimentation" (Exner, 1993, p. 6). Sadly, Rorschach died in 1922 at the age of 37. He had only invested just under four years in his inkblot test. With no clear leader to take the helm, at least four separate "systems" developed to administer, score, and interpret the test. Needless to say, questions and concerns regarding the test's reliability and validity was eventually brought into question. Beginning in the late 1950's, enter John Exner. Exner (1993) reports that David Rapport, Bruno Klopfer, Marguerite Hertz, Zygmunt Piotrowski and Samuel Beck each played a roll in his desire to compile many systems into some sort of more cohesive whole. Exner's (1993) early work showed that each system "had considerable merit, but that each were also seriously flawed in one way or another" (p. viii). The result of addressing these concerns is the Comprehensive System. The "project" grew into a multivolume work that has spanned at least four editions. Exner has almost single handedly rescued a drowning beast and breathed life back into it. The result is the resurrection of perhaps the single most powerful psychometric instrument ever envisioned.